Something about being a new parent triggers a switch inside for FULL FESTIVE MODE for every first holiday for their baby. Easter is upon us and we’re especially excited to celebrate this year since Kyle and I got baptized together only a couple of weeks ago and Jacob was dedicated before our church and Lord. My heart is beyond happy that we can take this step together as a family! 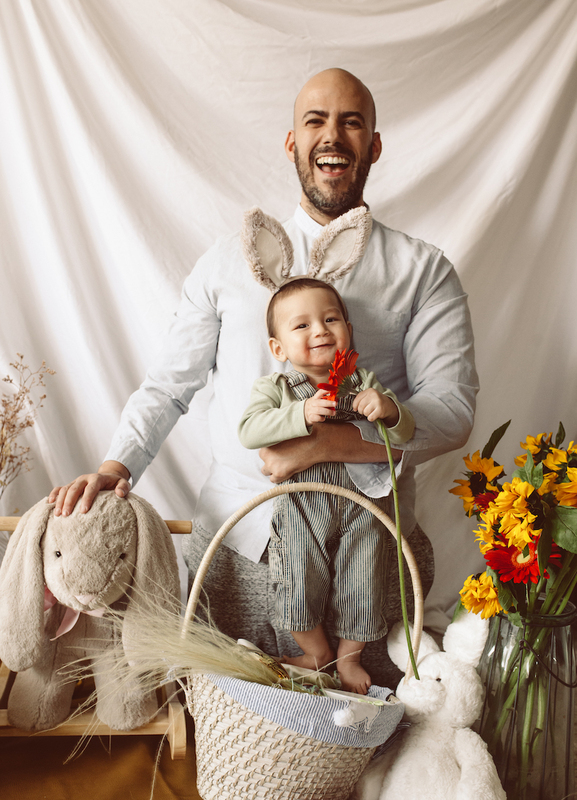 I’ve been commemorating every holiday with dressing Jacob up and doing a full-on photoshoot, because this is honestly just mandatory for a first baby. I went straight to Pottery Barn Kids to shop all of our Easter decor and toys; I love stopping into Pottery Barn Kids every time we visit The Grove in LA, because they not only have beautiful pieces for baby’s nursery and playtime, but they also always have the cutest holiday decor and I can pick it all up in one shop. 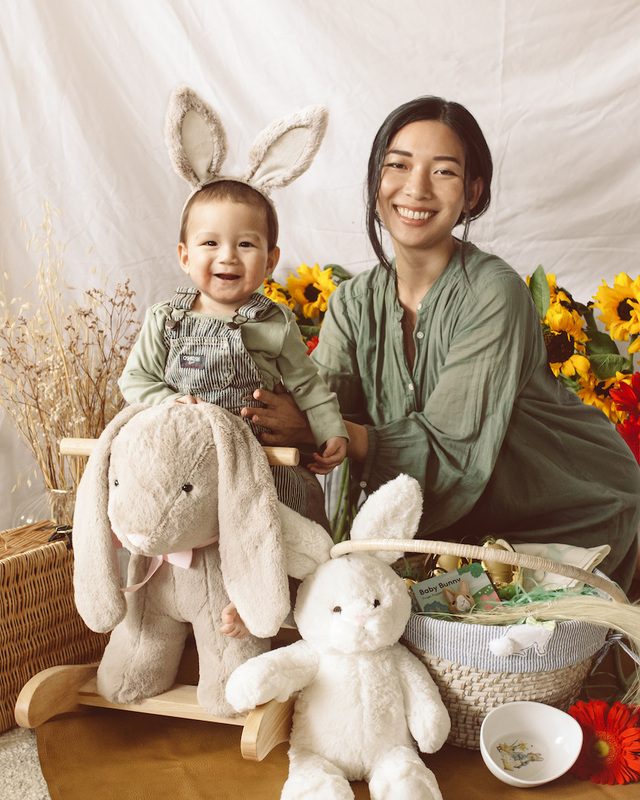 So when I went to shop for Easter decor, I nearly picked over the entire section because everything was just so perfect and of course I tried to justify that we can use these for every Easter onward. 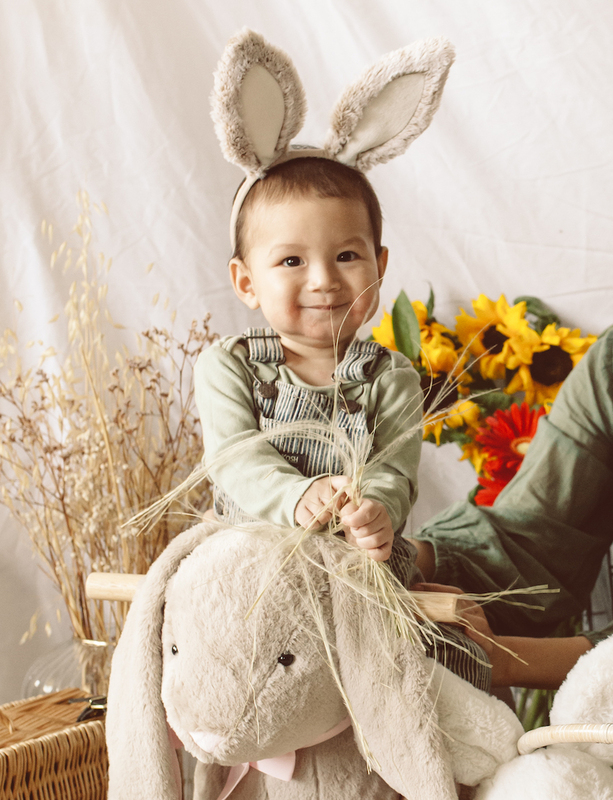 I grabbed bunny ears for Jacob, a straw basket, a bunny plush animal, a little baby bunny book, and a couple of small tabletop items. Then, I spotted the bunny rocker. I had to get it for Jacob - we’ve been wanting a rocker for him and this bunny one was just so beautiful and perfect as a memento of his first Easter. 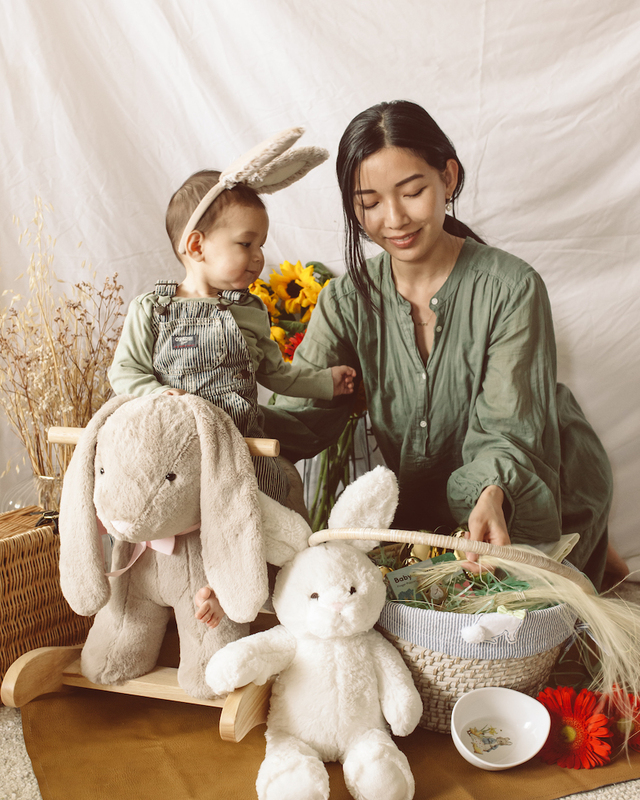 All of the Easter decor, toys, and gifts are on sale right now at Pottery Barn Kids! There’s still plenty of time to stock up on pretty baskets and treats. 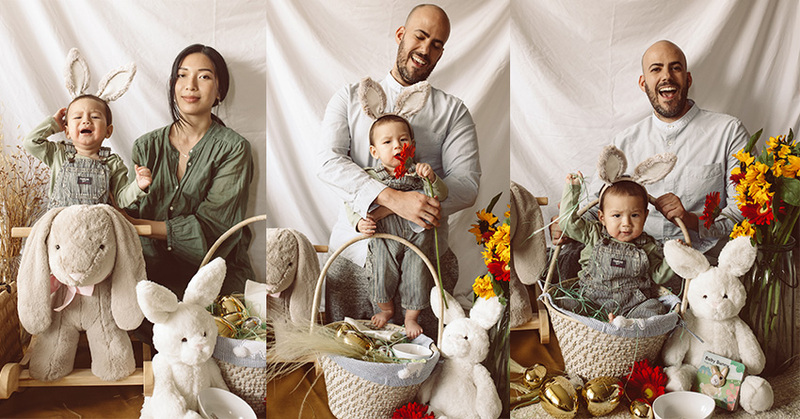 I put together the little photoshoot in our living room and while Jacob just loves the camera, he had a few moments where everything turned to chaos. 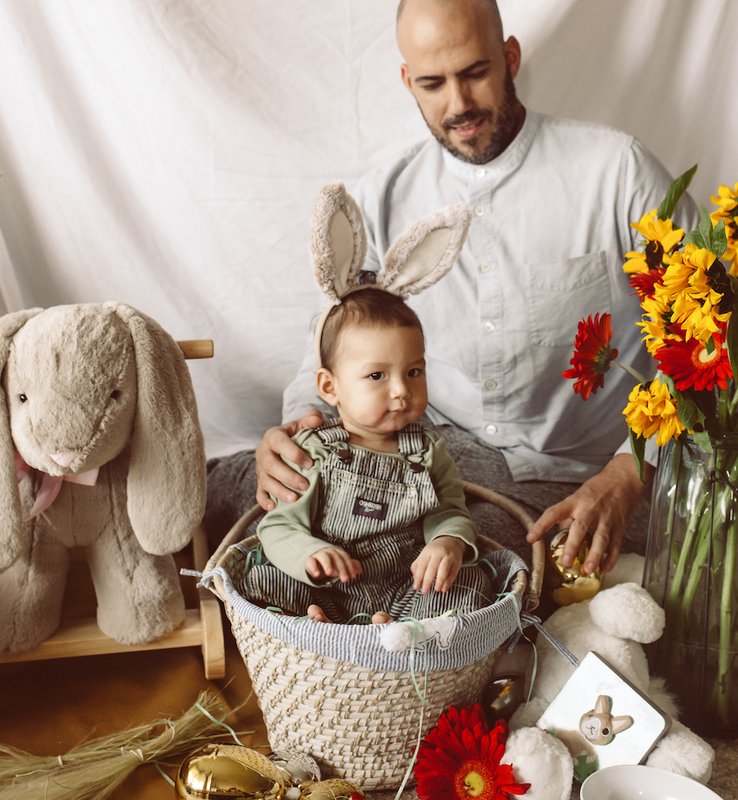 It is so hard keeping all of the props together and wrangling a baby to look at the camera and not pick up the toys, but we just adore all of the photos, good and silly. A few of my favorite “outtakes” are below!